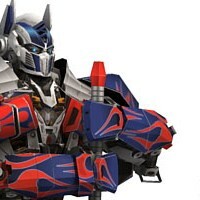 It was the end of my trip in designing paper model template for Transformers 4 Optimus Prime. I am very relieved with the completion of this model, because there are many interesting models models I need to make after this, such as, iron man hulkbuster, new upcoming minions movie, and others. In this final section, I close it by releasing the arm and a sword. In the assembly instructions I give specific instructions for Optimus right arm. The left side is the same as the right but in opposite direction. I also give two pages of patterns for the arms part that not holding the sword. So you can choose 2 pose, that is a pose that both arms are holding a sword and both arms pose hanging on the side. Both poses use many of the same part, only a few different key parts. Enjoy this paper model and thank you for all your supports and inputs in the making this paper model template. Several times I get a request to make a helmet-shaped Optimus Prime Age of Extinction that can be worn. 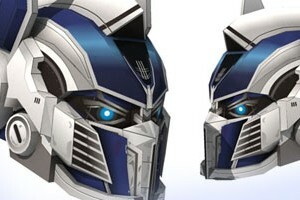 My friend Rauf Raphanus once edit the template of Optimus Prime head paper craft to become larger. The helmet was brought with us when we were both invited to be guest speakers at a morning show on NET TV. 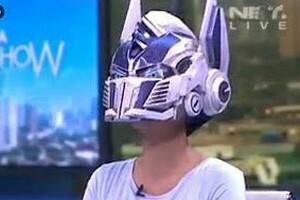 In the photo below shows the helmet worn by one of the hosts of the event, Shahnaz Soehartono. We recommend using thick paper up to 200 grams. Still a week to go before Halloween, this template may be useful to you. Finally finished the legs of Optimus Prime after intensively working on for over a week. The many reference images of Optimus Prime made me confused to choose the best version. In the end I combine multiple versions into one, and simplify it. The legs the new Optimus Prime is quite different from the previous films, a bit like a Gundam legs. The legs is made up of 37 pages effectively. Page starts with the left leg, and then right leg and the hip. Parts of the right leg use the same number with the left leg, simply reversed. 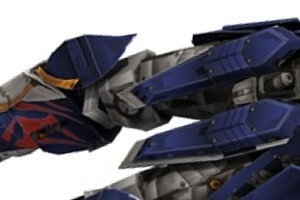 After the hips and legs affixed to the torso parts, the overall high of Optimus will be 70 cm. It feels like I haven't update my site for quite a while :). I was preparing a new website about foam RC plane. I have to prepare the contents for it. But here I am back again, I just uploaded 14 pages PDF file for colored template of Optimus Prime Age of Extinction torso parts. The torso part looks complicated but actually it's quite simple with big parts and simple geometry shape. It's just the texture that made it looks hard to build. My work in this part is not finish yet, I still have to prepare for the blank template. After torso part I will continue making hip and leg part. 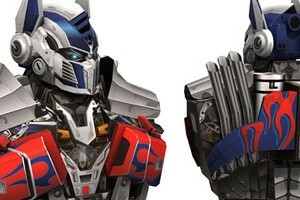 The new Optimus Prime in Transformers 4 movie is completely a different prime from the other sequels. Transformers 1-2 were with the same design, and then a bit different seen in Transformers 3, but the Prime in Transformers 4 looks kind of tribal and a lot cooler in my opinion. From the poll result in Paper Replika Facebook group they are many fans who loved to see the new Optimus Prime in papercraft. This time I would not make as complicated as the previous big Optimus, I will make it about half that size, about 70 cm in height. I also reduce the complexity from hard to medium, but I will still maintaining the detailed looks that Optimus Prime has. As usual this paper model series will be released part by part, I plan to finish all of it in about 2-3 months. The first part is this head. The head itself when completed will have about 8 cm in height. There will be blank template available soon.